Beautiful Buff Orpington chicks arrived in May and are laying eggs! That means fresh eggs for you every week! A new planting field was opened in the fall, so there will be lots more fresh delicious USDA Organic produce. A second high tunnel has given us more space for early planting. That means early veggies! Check out what's new on the farm! Blueberry Hill Organic Farm is expanding! A new field will be in production this year to provide our customers with more variety and quantity! It takes time to open a new field at the farm as the mature trees have to be carefully removed and topsoil preserved for planting. See photo above - this is the field last fall. We decided to double the size for June planting! Follow the link to view this year's veggie list. We are also adding another market for this season! You will be able to find us now at Putnam on Thursdays from 3:30 – 6 p.m. We will continue this season with the Danielson and Coventry markets also. You can see our market schedule on the right. CSA Shares are also still available! Ever thought how amazing it would be to get a fresh picked crop box full of fruits and veggies each and every week during the growing season? You can do just that by buying a share of the harvest! Follow this link for more information. Blueberry Hill Organic Farm held its first Organic Gardening Workshop in March! Several growers from the area joined us for a Saturday chock full of information on growing organically, from soil evaluation and testing to planting, harvesting, pest control, sustainable practices and much more. We look forward to more educational opportunities like this in the future! CSA shares are now available! Don't miss out! Are you ready for the weekend? We certainly are! Don't forget to visit us on Saturday and Sunday at the local markets. We will be prepared with so many delicious and beautiful veggies... just like these gorgeous tomatoes! Joining the Coventry Farmers' Market! 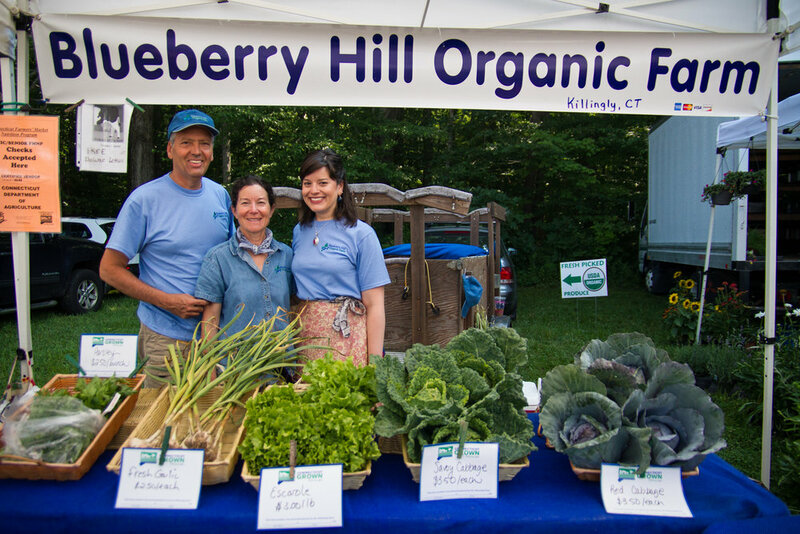 Blueberry Hill Organic Farm is excited to announce that we will be joining the Coventry Farmers' Market. We will be there every Sunday, from 11am until 2pm starting May 31st. 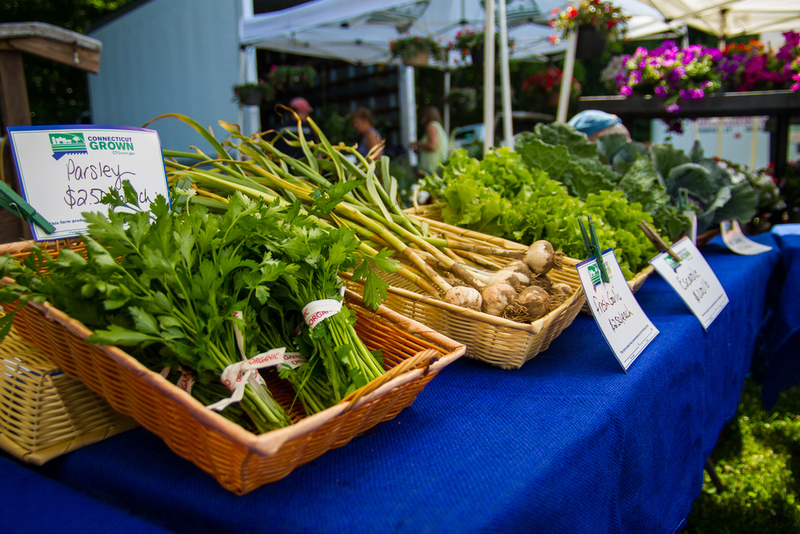 The Boston Globe ranks the Coventry Farmers' Market as one of the top things to do in New England, so we hope to see you there this summer! The market is located at Hale Homestead in Coventry. Interested in supporting your local USDA Organic farmer? Want to receive fresh delicious organic produce each and every week from June through October? Then consider becoming a CSA (Community Supported Agriculture) Member at Blueberry Hill Organic Farm! For more details, please see our brand new page dedicated to CSA information. This includes instructions on how to sign up and a CSA agreement available for download. Our 2015 Vegetable List Has officially been posted! Follow the link to view the wide variety of vegetables, berries, herbs and melons that we will be offering in 2015!